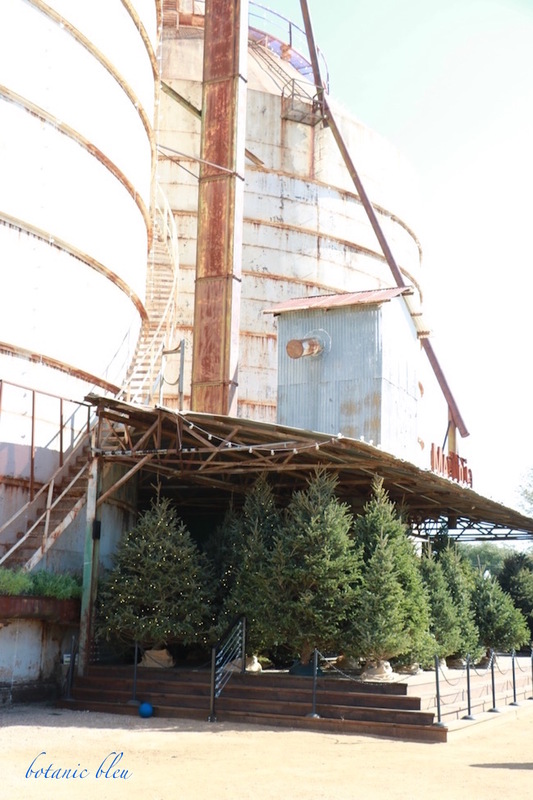 Just seeing the live Christmas trees set up in a covered outdoor stage at the Silos puts you into the Christmas spirit. This is before going inside Magnolia market and seeing all the Christmas inspired decorations and goods. 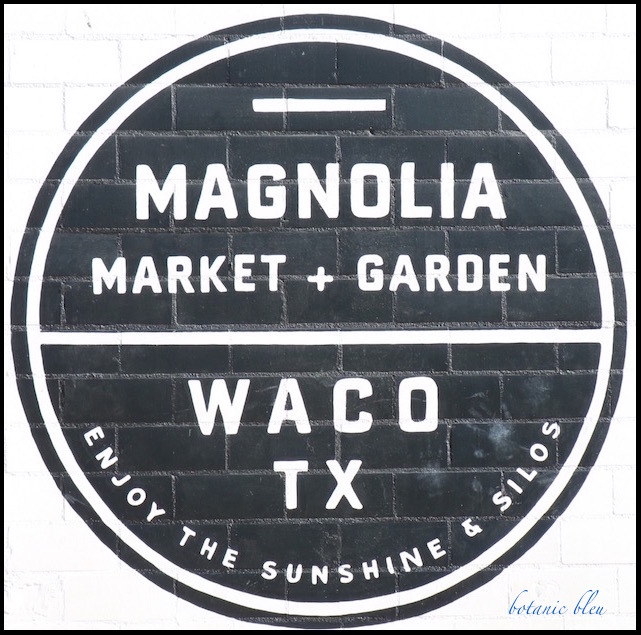 The large sign painted on the exterior wall near a parking area sets the mood. "Enjoy the sunshine & silos." 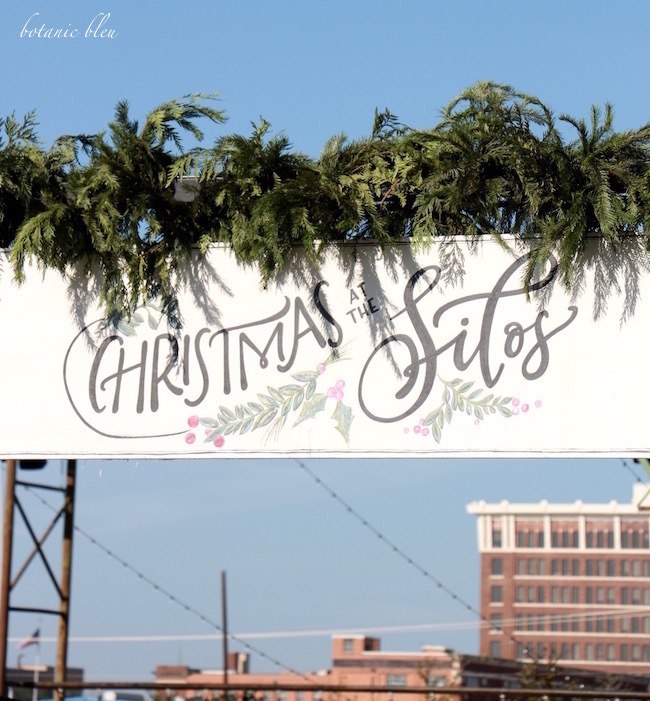 Shopping is only one event at the Magnolia Silos this Christmas season. December 9-10, there was a live concert in the evenings, visit with Santa during the days, and crafts for children during the days. 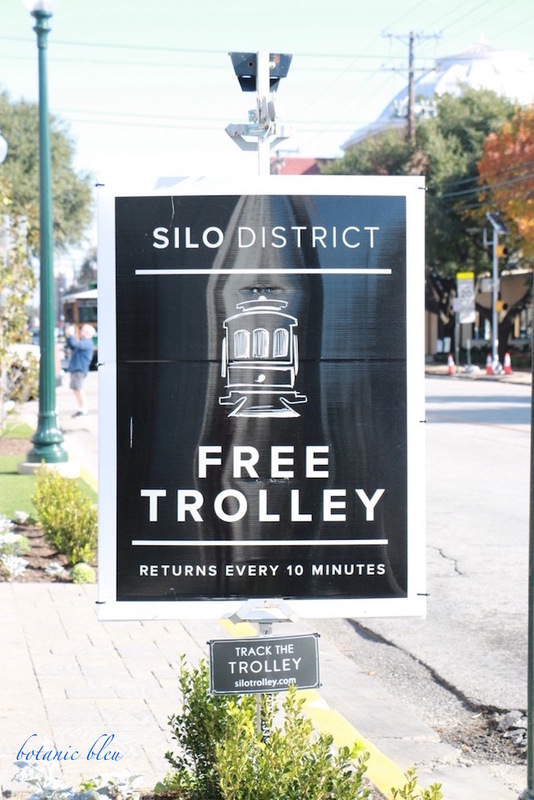 Waco now has a free trolley for the Silo District to help with parking. The trolley could not be any more convenient, pleasant, or cuter. 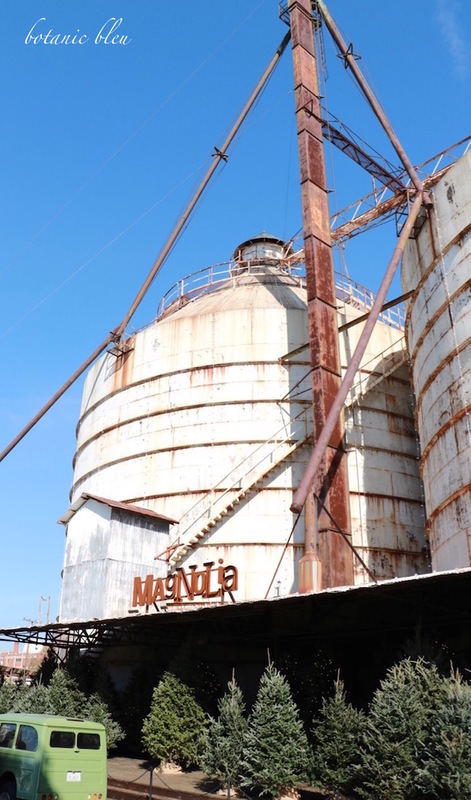 The vintage look adds to the fun of riding in the free shuttle, and it stops right at the front entrance to the Silos. The front entrance is now landscaped with both live plants and astro turf grass. 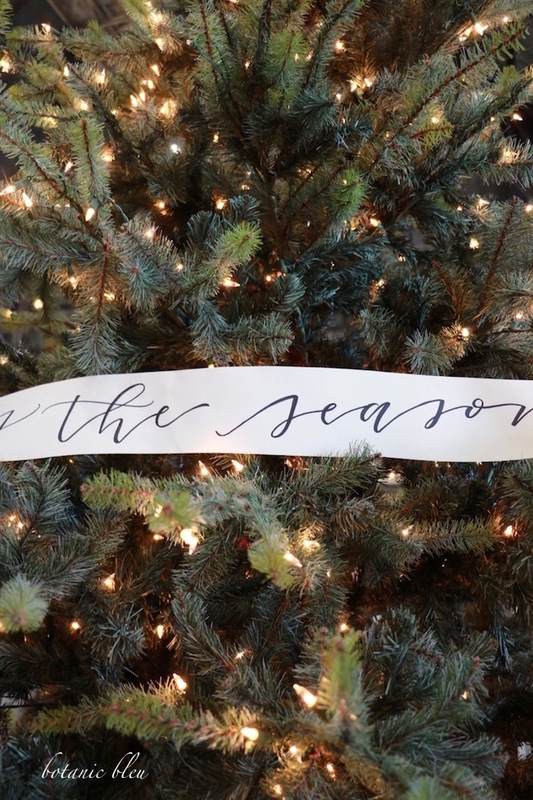 Yes, 'tis the season for experiencing the decorations both outside and inside the Magnolia market. 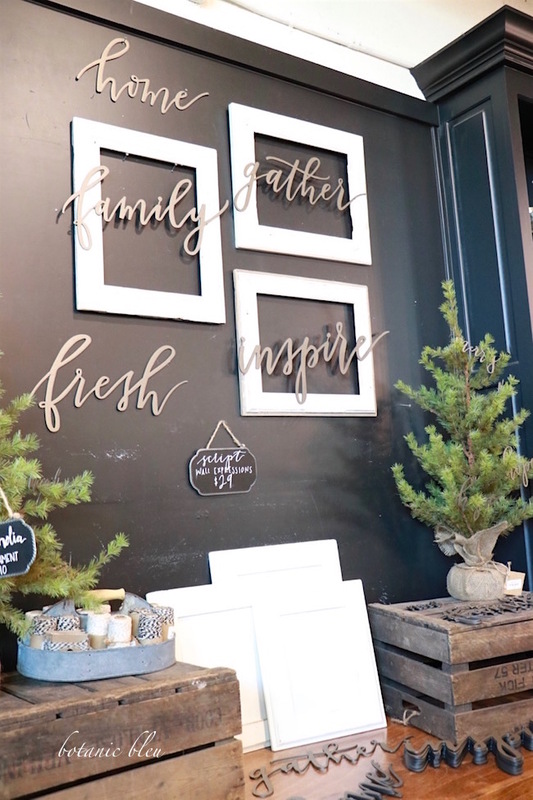 The store displays are filled with fresh ideas for shoppers to try a similar version at home. 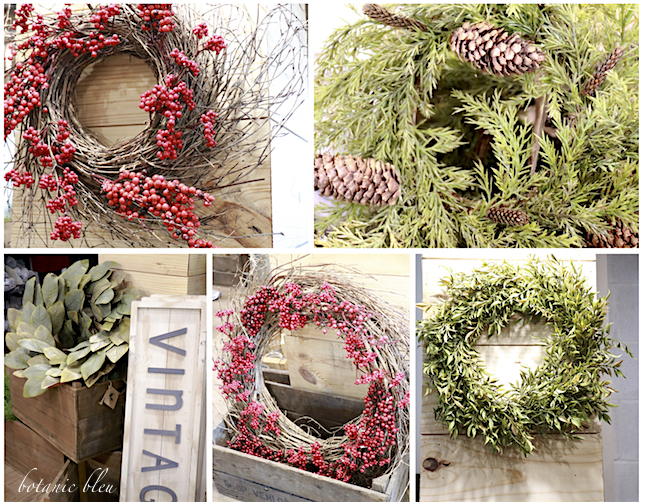 From berries attached to grapevine wreaths to Joanna's signature artificial magnolia wreaths, there is sure to be a style for everyone. 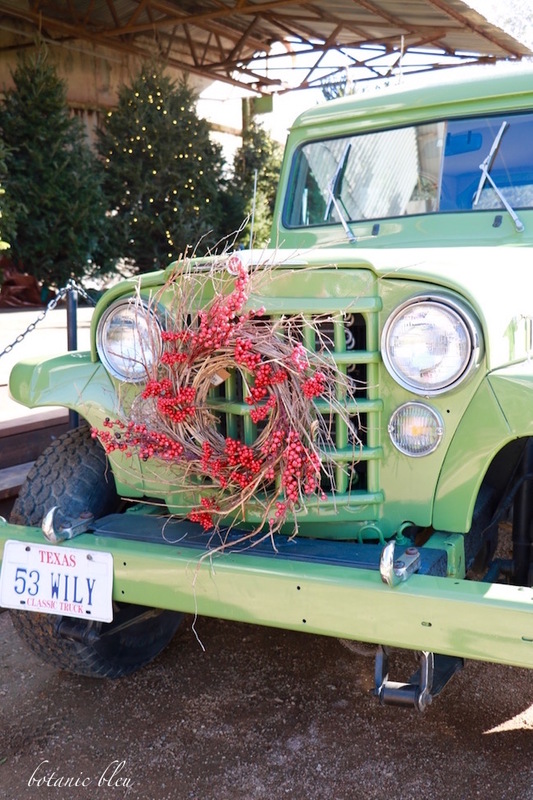 Outside, a classic truck sports a wild tendril wreath with red berries, illustrating how to give a new twist to an old favorite holiday tradition to display wreaths. 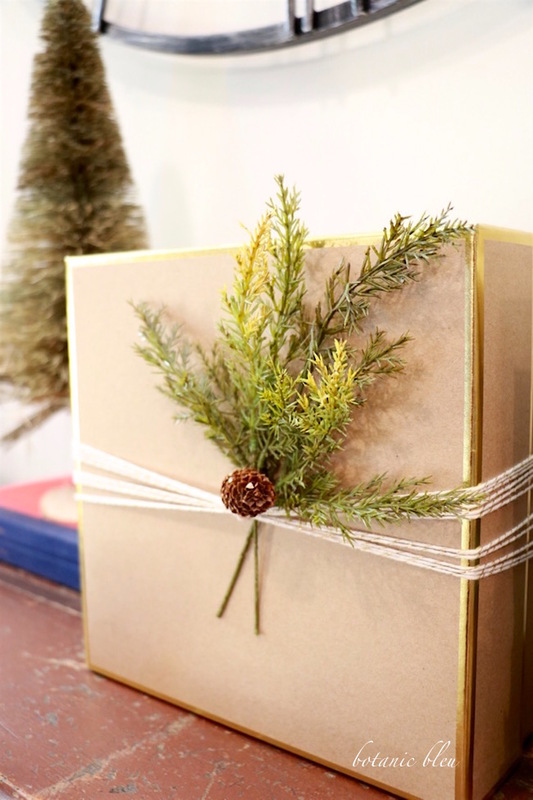 Inside, sample Christmas packages illustrate farmhouse style in decorating gifts. 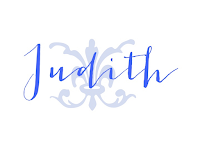 These metal script words displayed on a wall chalkboard were flying off the shelves. Everyone who walked by, stopped, and picked out their favorite word for buying. 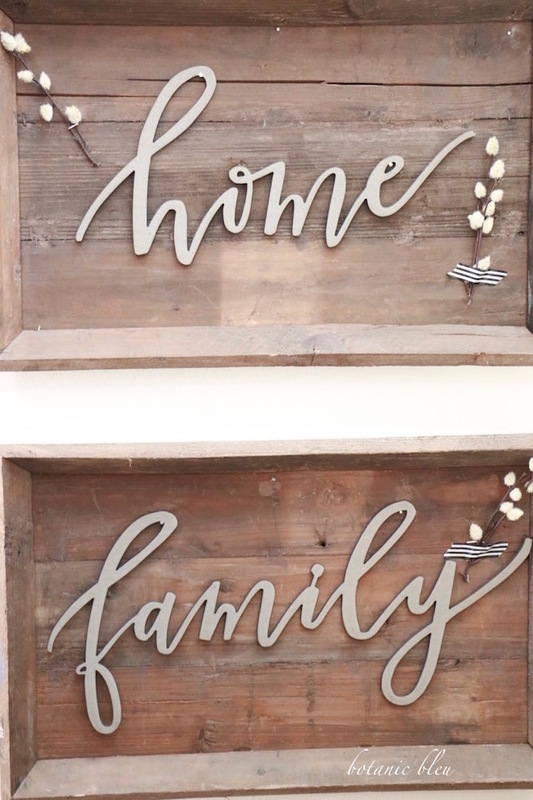 For more of a farmhouse look, the script words can be mounted in rustic wood trays. A friend shopping with me bought "family" and planned to mount it in an old tray that had been designated for the trash. 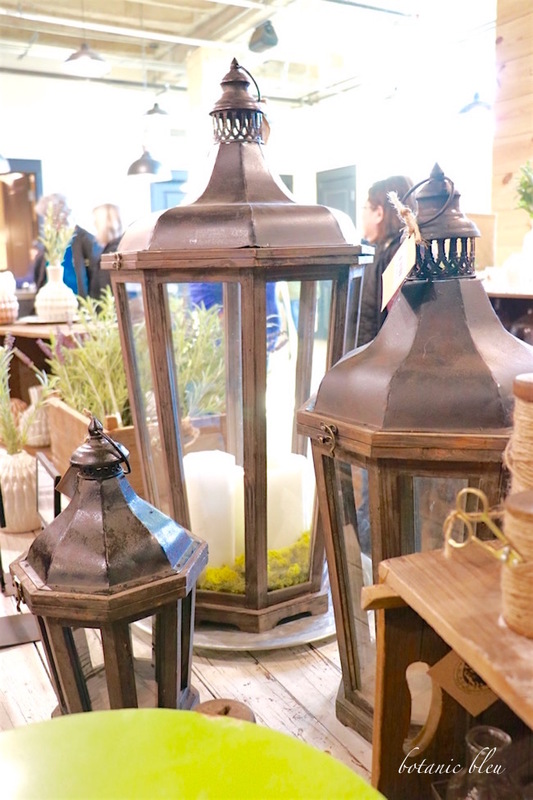 Wood and metal lanterns would be beautiful with fresh greenery and holiday ribbons. Artificial narcissus blooms with roots attached to the bulbs are one of my favorite items at Magnolia. Of course, I love fresh real paperwhites, too. 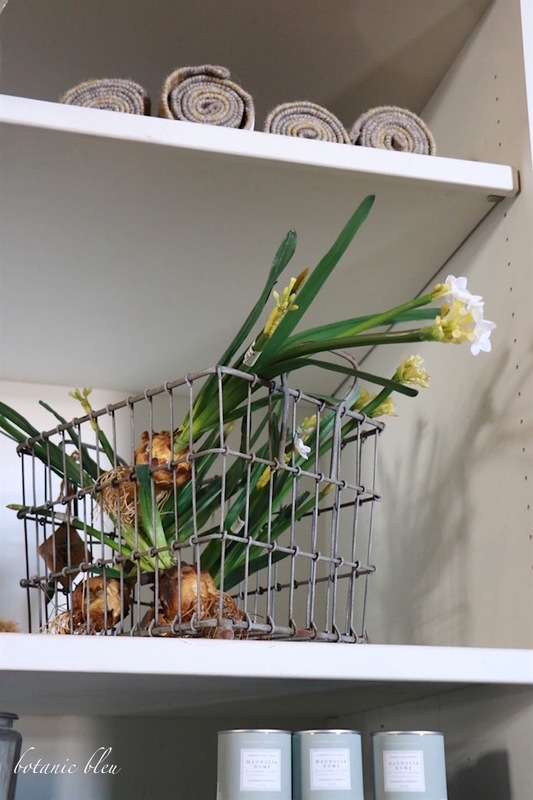 Paperwhites in a galvanized metal wire basket is a look that appeals to me. 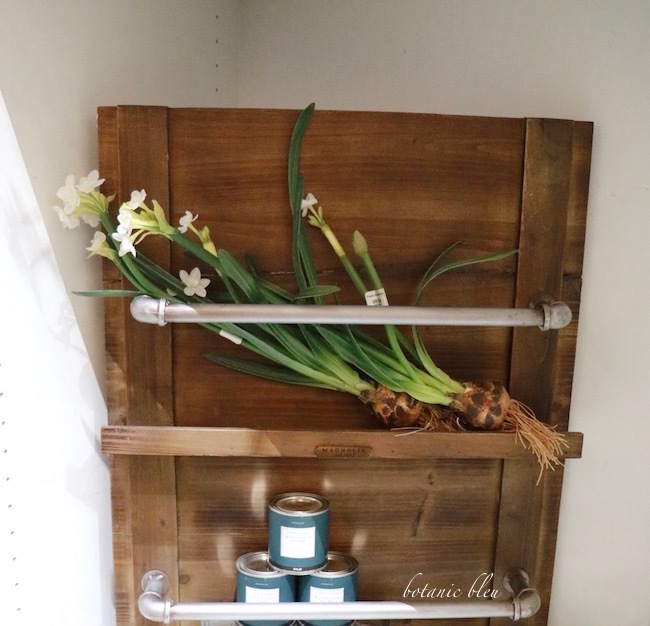 I have an old locker basket and some of these paperwhites which means I can copy this look this spring. 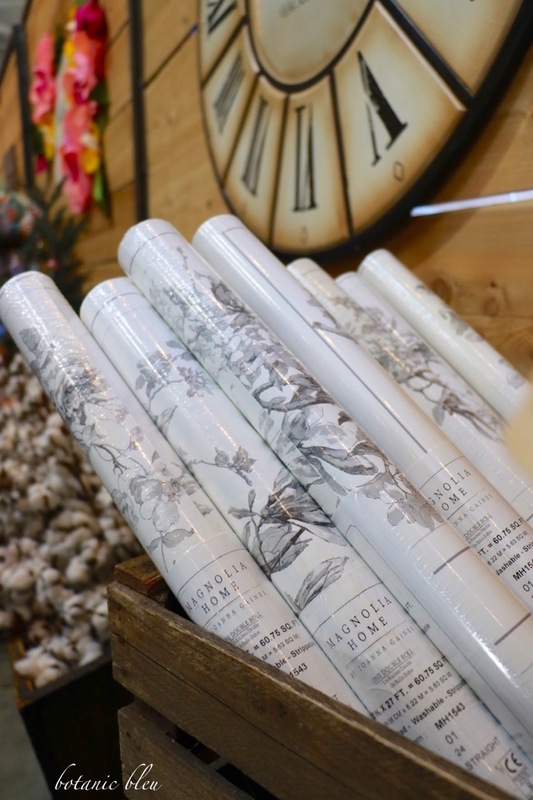 Magnolia Home wallpaper is available in more than one pattern. The neutral magnolia blossom pattern is my favorite, but I'm not sure where I can use this. Maybe the upstairs bathroom? Or the guest half-bath? 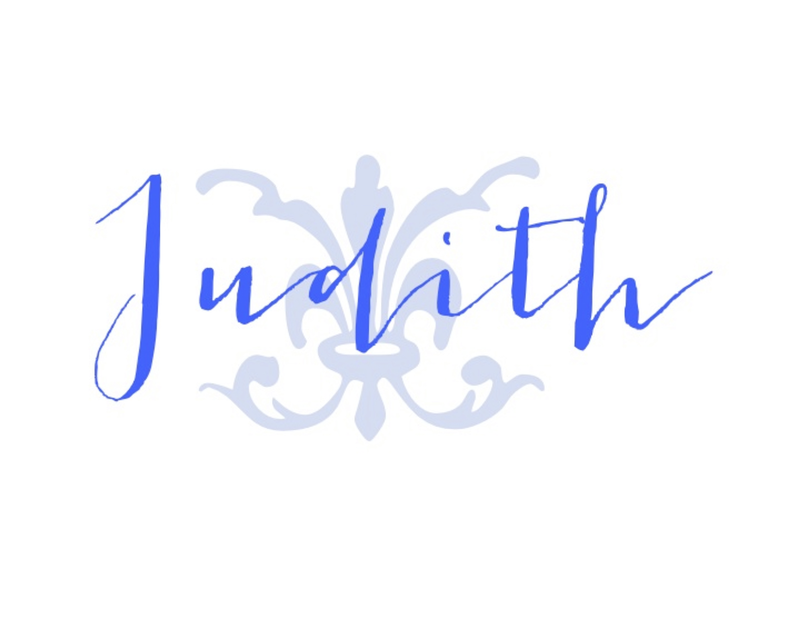 Did you see anything you would like to buy? 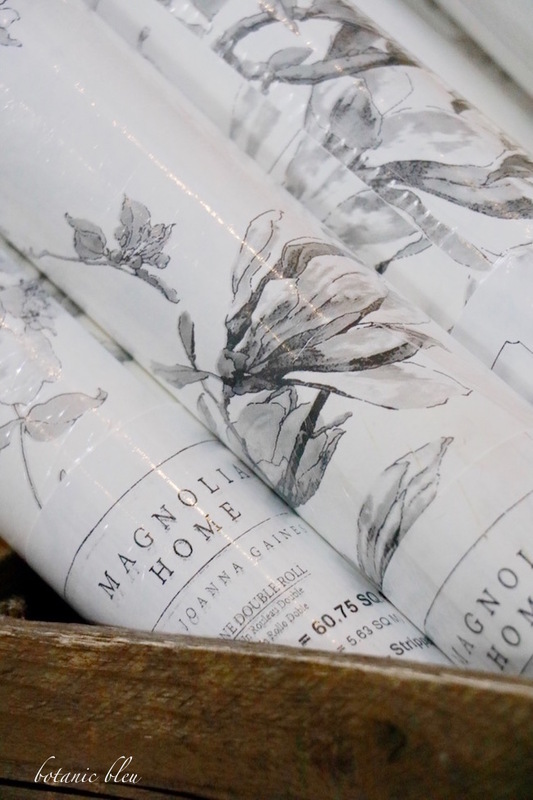 Many items are available through the Magnolia online store. I think I have all my presents bought. Now, to finish wrapping them. That was fun! 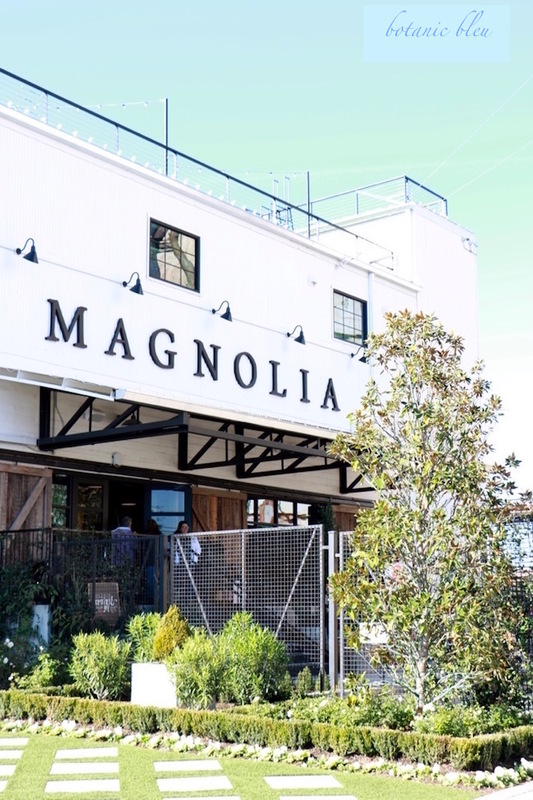 I'd love to visit Magnolia sometime! That looks fun. We should have done that this season. Maybe next year. I love paperwhites. The artificial kind are perfect for bedrooms because they don't smell. I like real for the downstairs. That looks so cool. I've been once but it would be fun to go at Christmas. 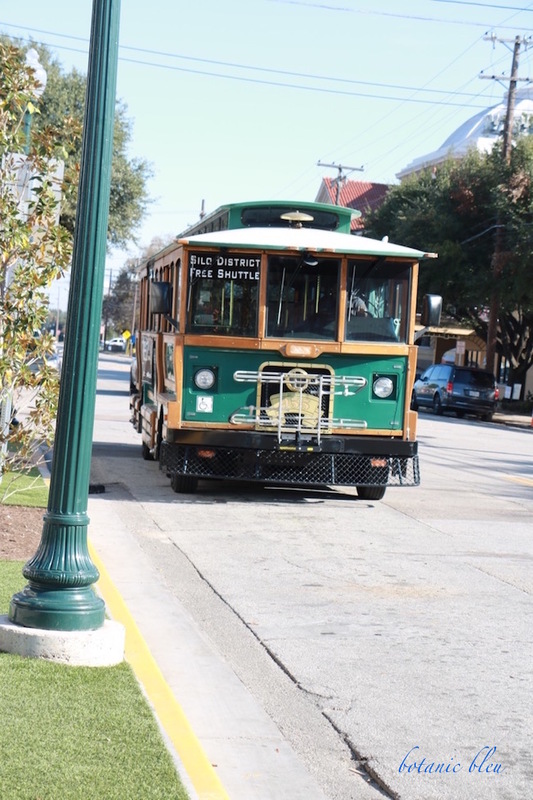 The trolley is great - parking was such a pain. Yes, I see several things. 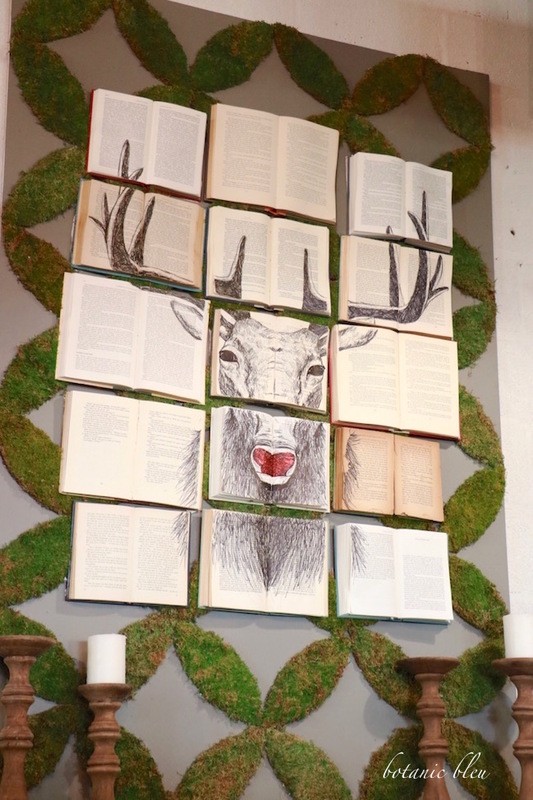 The reindeer drawn on the books is amazing. Makes me want to do something like that! Thanks for sharing! I've never been there yet and it's on my 2017 to do list. It looks like a fun place full of inspiration. Enjoyed your tour looks like you had a blast. Oh what fun! I'm sure your day was filled with wonderful "finds".